/ What's Your Favorite Bird? RE: What's Your Favorite Bird? Have you tried training your budgie at all? How long have you had her? Like, 6 months now, I have another one that's my brother's. He NEVER shuts up! And I want little baby pawakeets to be in the cage one morning peeping! :3 and yes, I know, you need to add onto the cage. They learn on their own!! 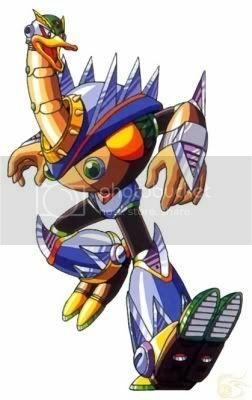 Somehow I knew that was coming, Metal Man XD. My favorite bird would have to be the Ostrich. ( ) It's just sort of cute but ferocious at the same time :>. (08-24-2009 06:44 AM)Black Dragon Wrote: Somehow I knew that was coming, Metal Man XD. My favorite bird would have to be the Ostrich. ( ) It's just sort of cute but ferocious at the same time :>. Next thing you know there's gonna be a Pipe Man or something.